When you think of any dental service that could be painful, patients tend to think of root canals. This simply isn’t true! Truth be told, avoiding a root canal is the true cause of your dental pain, not the procedure itself. That’s right, the pain associated with this dental procedure is actually stemming from the present problem, not the actual treatment. If you’re ready to learn more about how a root canal can help you relieve dental pain, your dentist in San Marcos is here to explain all the important information about this helpful procedure. These are all serious signs of infected teeth, which not only cause severe discomfort but can also lead to tooth loss or other systematic health problems. A root canal is necessary when the inside of your tooth becomes inflamed from a dangerous infection. The point of a root canal is to save a tooth which would otherwise need to be removed from a deep-set infection. If you don’t want your tooth completely pulled out, root canals are the best way to save your teeth. Believe it or not, root canals have an incredibly high success rate. Many root canal-treated teeth last a lifetime! During your procedure, your dentist not only removes the infected pulp and leftover signs of infection, but they also will seal the tooth closed. This helps your tooth to stay infection-free for years to come! If the reason you’re not getting a root canal is because you think it’s going to be unbearably painful, you can rest assured that advanced technology and modern practices have you covered. Your dentist will use local anesthetics to numb the affected area. Your dentist can also use sedation to help you relax during the dental appointment—you might even peacefully drift off to sleep! After the procedure is completed you can expect minor discomfort, but nothing too severe that your doctor-prescribed pain relievers can’t help you. If you’re experiencing signs of an infection, it’s time to discuss getting a root canal with your dentist. 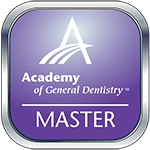 Here at San Marcos Dental, one of our top goal as a dentist is to help you keep and maintain all of your healthy, natural teeth. If you have a tooth infection, we’re here to help you remove it and optimize your oral health again. 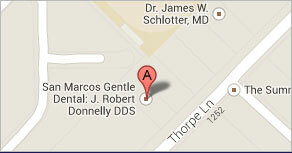 If you still have questions or concerns about root canal treatment, feel free to give our office a call.